Sculptra Aesthetic has become one of the most widely talked about injectables on the market due to it’s new approach to facial rejuvenation. Sculptra is a facial volume enhancer that stimulates your own collagen to grow and thicken, a process referred to as ‘neo-collagenesis’. Sculptra will provide results that emerge subtly. Sculptra can be used to enhance or contour specific features of the face, including the cheeks, chin and jawline. Sculptra gives you that much desired natural, fuller appearance in specific facial areas, with results that won’t give you away. *Please note, not everyone requires multiple vials of Sculptra. Please come in for a complimentary consultation; we will be more than happy to advise you on what would be right for you. Restore your youthful fullness with our Facial Rejuvenation Package. Injector 5280’s Liquid Facelift in Denver, Colorado is designed to give you overall facial rejuvenation. Injector 5280’s Liquid Facelift is becoming increasing popular, as more people are choosing non-surgical aesthetic treatments, as opposed to going under the surgeon’s knife. Our Liquid Facelift involves strategic placement of a combination of multiple products and we tailor it to each individual patient’s desired outcome. Before the treatment, we will sit down with you and create a personalized treatment plan and make sure we thoroughly understand your goals. To achieve the best results, we also use a facial aesthetics mapping model to understand your specific requirements. This also gives us a good understanding if there are any areas you would like us to particularly focus on. 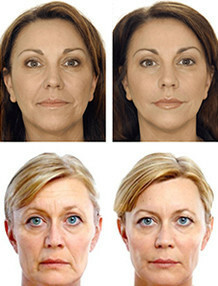 Injector 5280 is a leading Denver Liquid Facelift provider. If you have any questions on this Aesthetic Package, or any other Packages, please feel free to call us at 303.801.0041 or schedule a Complimentary Consultation.